“Homeowners looking to sell this spring appear to be in the driver’s seat, as there are more buyers competing for a limited number of homes available for sale,” Lawrence Yun chief economist from NAR. “The housing market can handle interest rates well above 4 percent as long as inventory improves to slow price growth and underwriting standards ease to normal levels so that qualified buyers—especially first-time buyers—are able to obtain a mortgage,” Yun adds. Realtors expect for total existing-home sales in 2015 to be around 5.24 million, an increase of 6.1 percent from 2014. 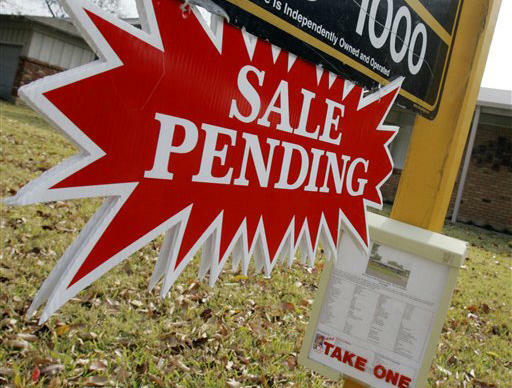 The national median existing-home price for all of this year is expected to increase around 6.7 percent. In 2014, existing-home sales declined 2.9 percent and prices rose 5.7 percent. This entry was posted in Uncategorized and tagged access to the lowest-cost and safest mortgages, Blog, borrowers, Broker, california, CAR, First time Home buyers, Highlight, Home Sales, Home seller, Homeowner's, housing, inventory, Mortgage, NAR, National Association of Realtors, Pending home sales, Properties, real estate, Realtor, Sandy Flores, Sellers, Sold. Bookmark the permalink. ← El Número de Venta de Casa nuevas excedieron expectativas!